Eurypterids: you may never have heard of them, but you will come to fear them. They appear in the fossil record during the Ordivician Period, over 400 million years ago, and finally went extinct about 250 million years ago during the Great Permian Extinction. Because of their appearance, Eurypterids are sometimes called Sea Scorpions. 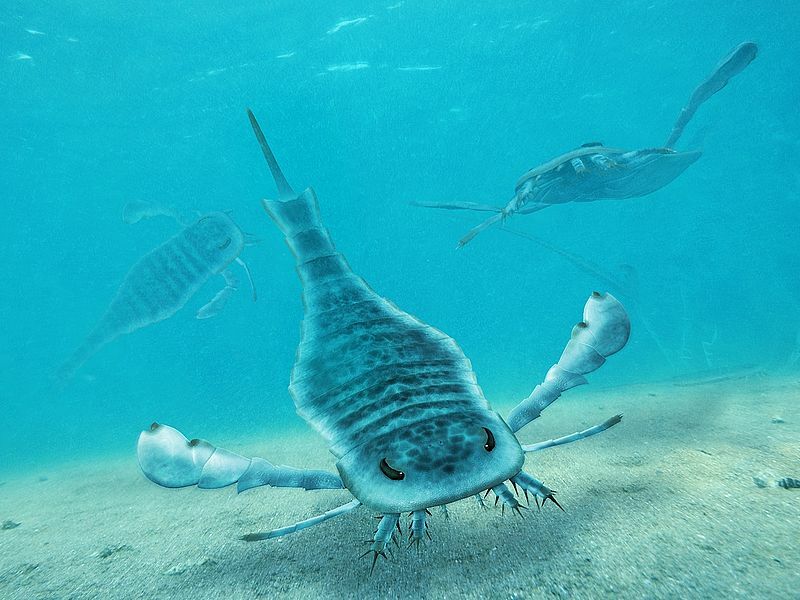 However, despite their nickname, these Paleozoic predators are not actually scorpions. They are, however, believed to be closely related to arachnids, a group that includes scorpions. Most of the fossil specimens that have been discovered are about the size of lobsters or smaller, but there are two giant species. The first, Jaekelopterus, may have been the largest arthropod ever to live, coming in at about seven feet long. Pterygotid follows closely with specimens just inches shorter. Pterygotid may have been a scavenger, however it is assumed that most Eurypterids were predatory or at least opportunistic feeders. Eurypterids have six pairs of appendages attaching to their prosoma (or “head section”) the first pair acted as fangs and in some species are quite large resembling pincers, the next four pairs are legs which would have allowed the creatures to scuttle along in their shallow, brackish habitats. The final pair are sometimes adapted as paddles to help with swimming. 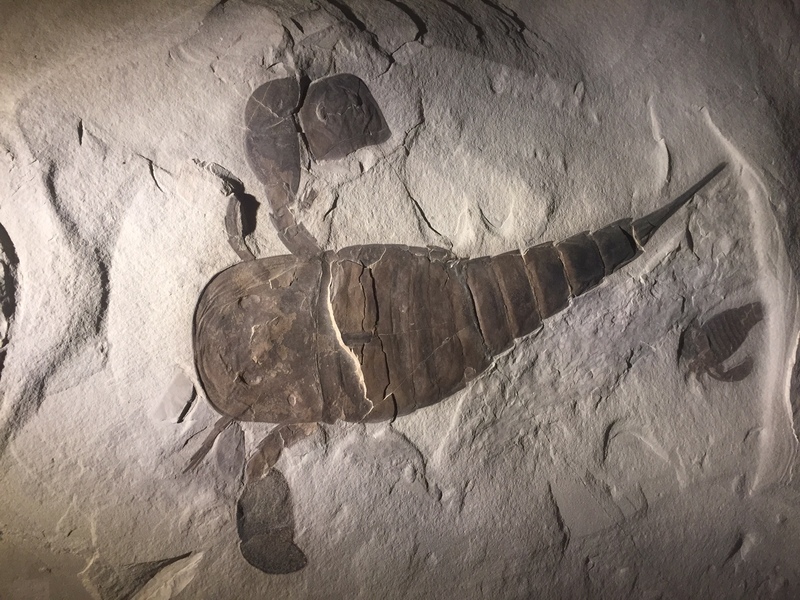 Some Eurypterids also have paddle-shaped tails to further assist with swimming, but in others the tails are sharp, resembling the stingers of scorpions. Above is a picture of one of our Eurypterid specimens, with only its paddles and a couple legs preserved. Above is a Eurypterid “claw” displayed in our Morian Hall of Paleontology. 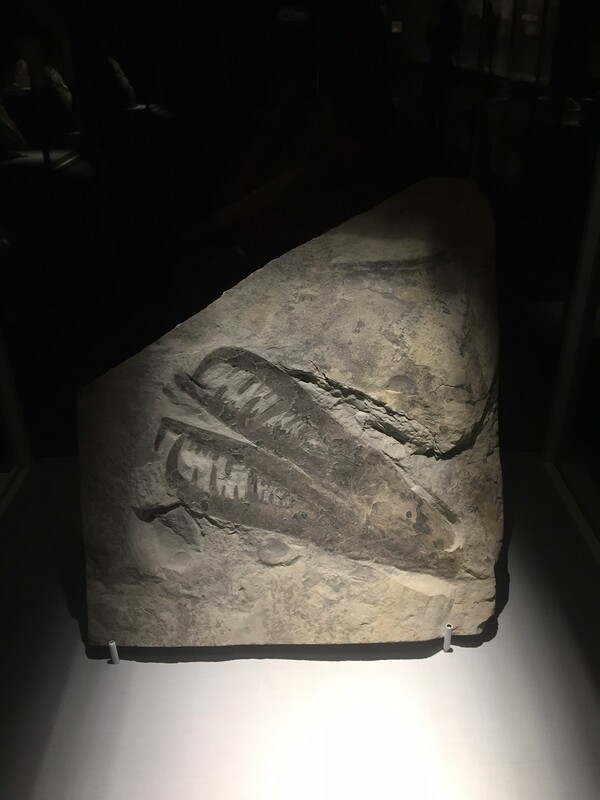 All of our Eurypterid fossils on display were discovered in Herkimer County, New York. 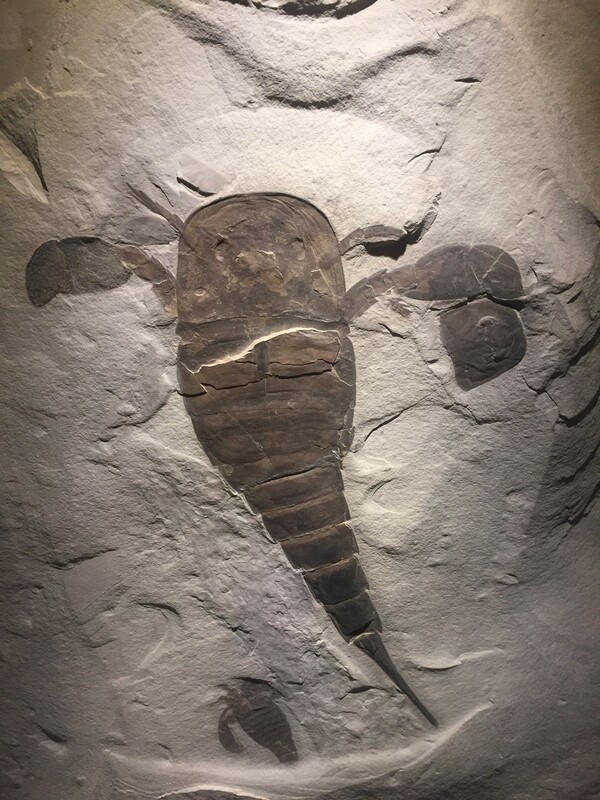 Herkimer County has some of the best fossil sites in the world to find Eurypterids. A reconstruction of one of the larger species of Eurypterid from our Morian Hall of Paleontology. 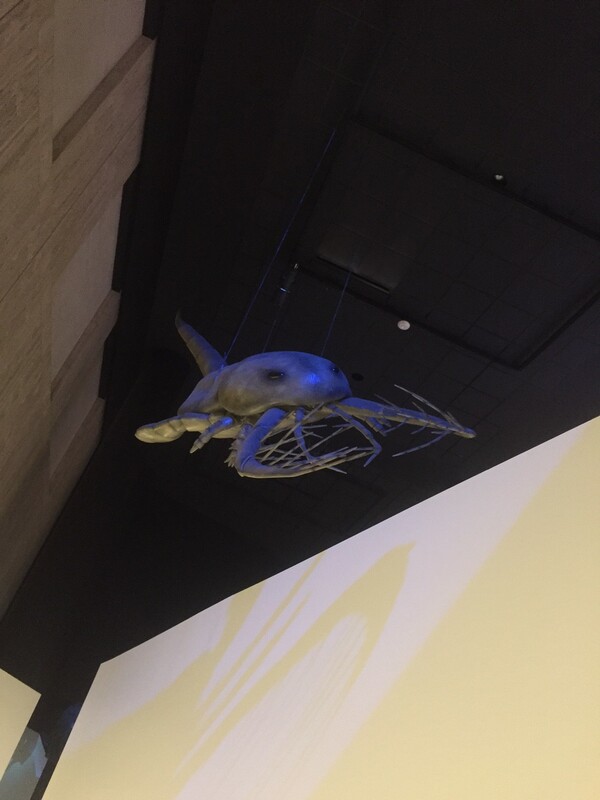 Be sure to visit HMNS during the holidays to see these and other terrifying creatures in our Hall of Paleontology! After all, there’s enough cuteness going on this time of year, it’s time for something cool and creepy!